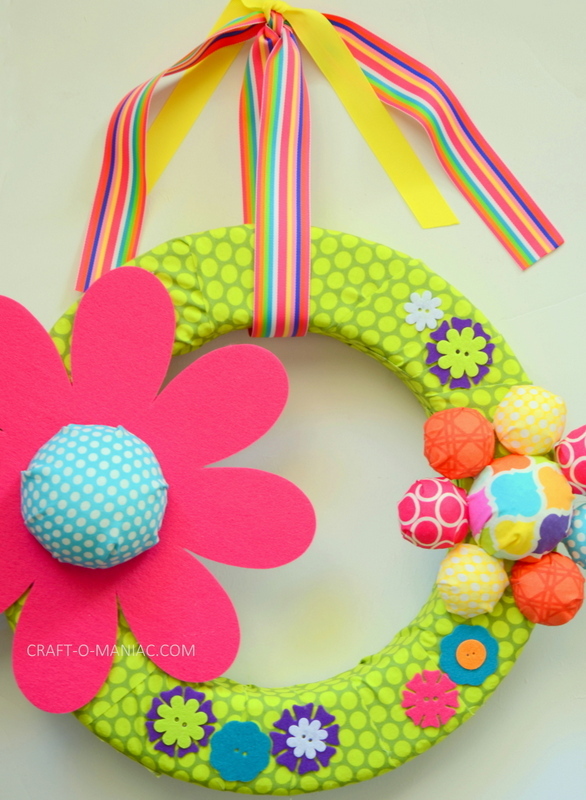 Hi friends, today I am sharing a pretty simple DIY Bright Colored Flower Wreath. This wreath all though easy, is more time consuming then anything. That said, its summer, so have some friends, or family over, or after the kids are down to bed.. craft one of these babies up. 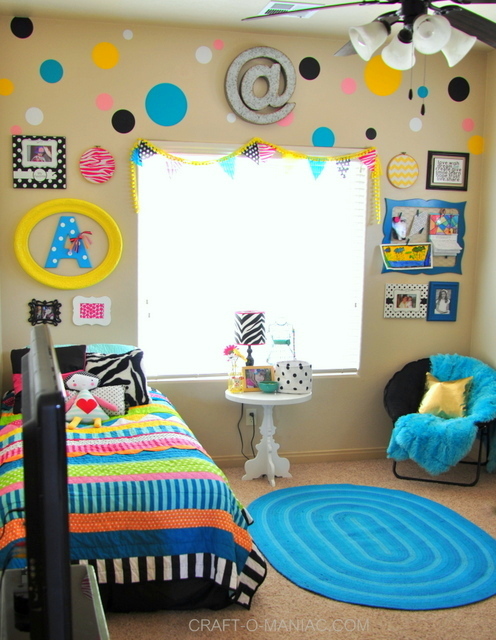 I made it super colorful to hang it on my daughters bedroom door, because it matches all the colors in her room (minus adding black and white). 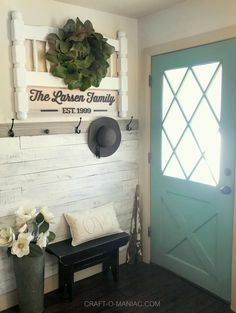 So with whatever fabric you have on hand or pick up at the store, you can customize this wreath to match your space etc. 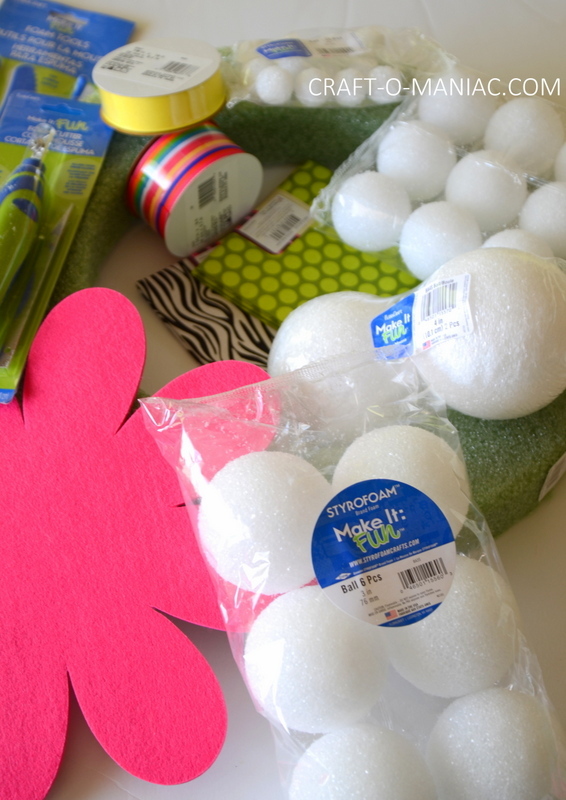 I received a fun box of different sized Make It: Fun® Foam balls from Make It Fun Crafts, and I wasn’t sure what to do with them at first, it took me a few days. 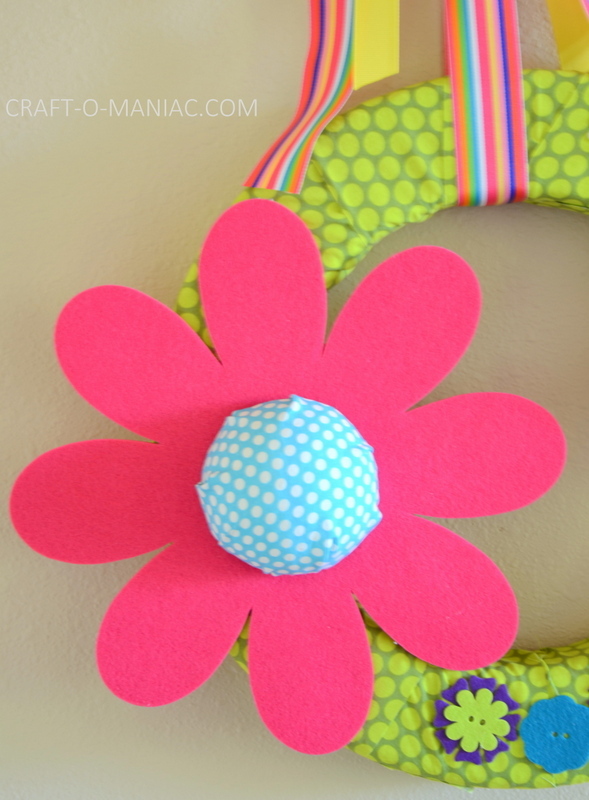 Then while at Walmart on the craft isle I saw a big pink felt flower, and I thought how cute it would be to cut a Make It: Fun® Foam ball in half, cover it in fabric, and glue it to the center. So my idea came from seeing a big craft felt flower (ps its a hard felt). 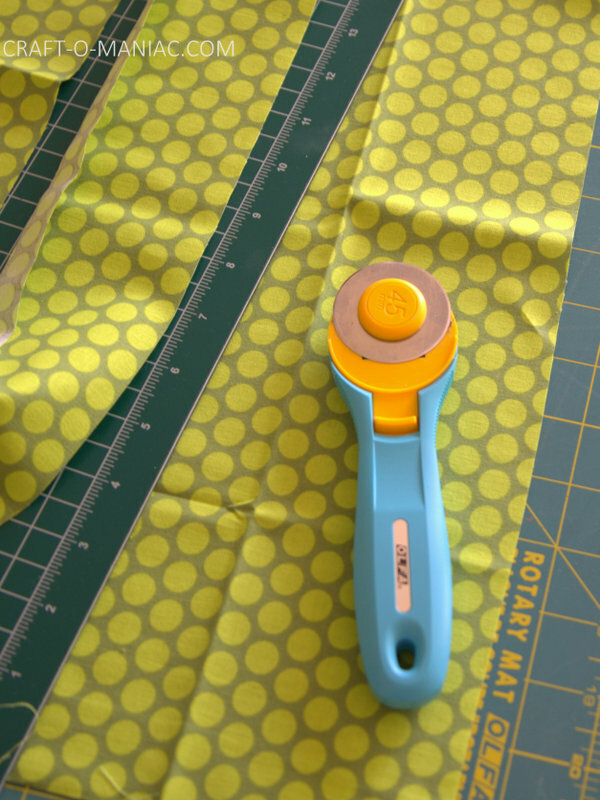 – good knife for cutting! 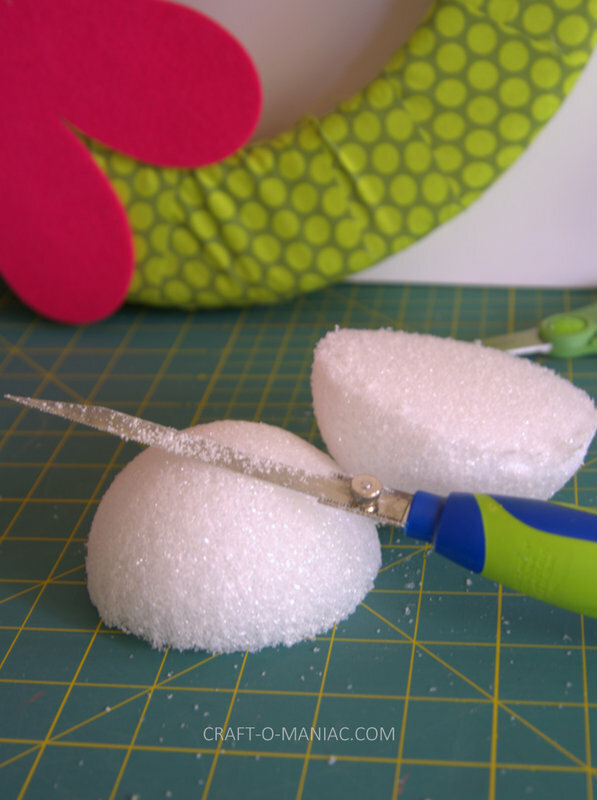 Psssst Make It Fun Crafts has the best cutting tools for styrofoam. LOVE! 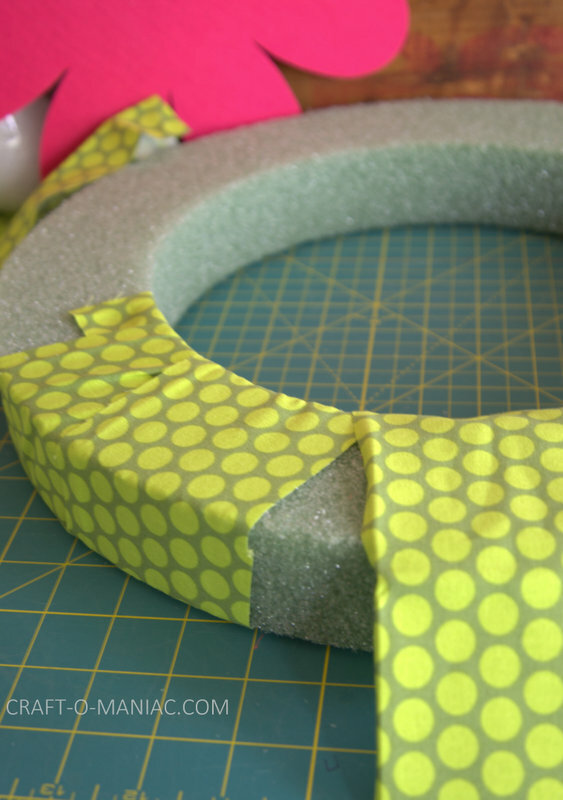 I started by cutting wide pieces of my fat quarters to hot glue around the wreath form. 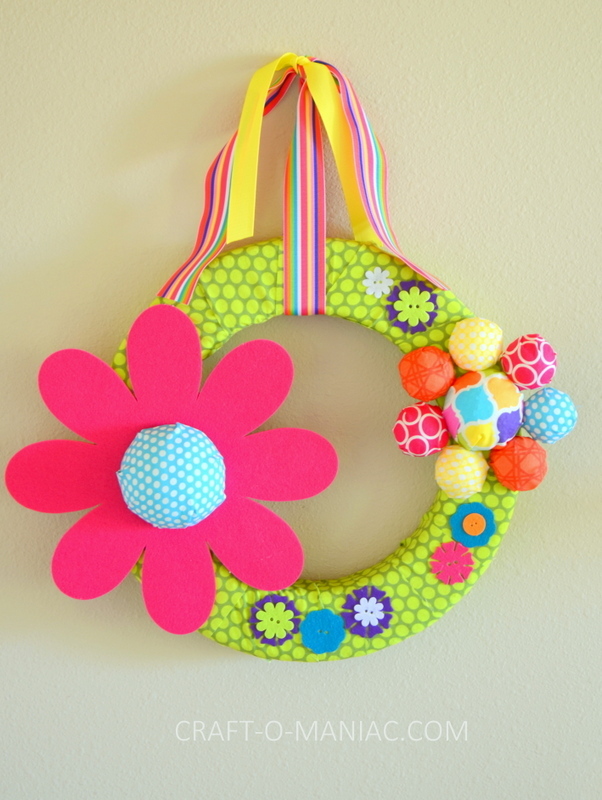 Then I moved onto the large felt flower, I hot glued the flower down onto the wreath. 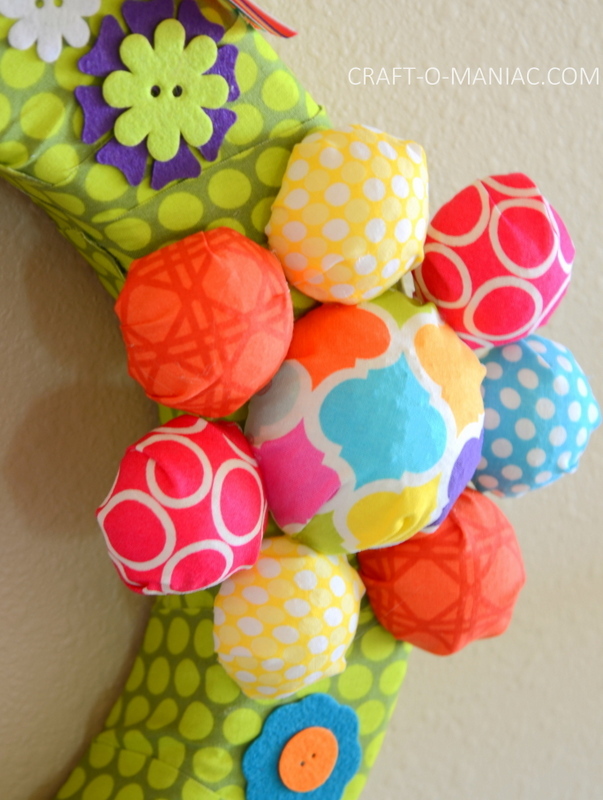 Then I cut the medium to large Make It: Fun® Foam ball in half and covered it with some fabric that I hot glued to the center of the felt flower. 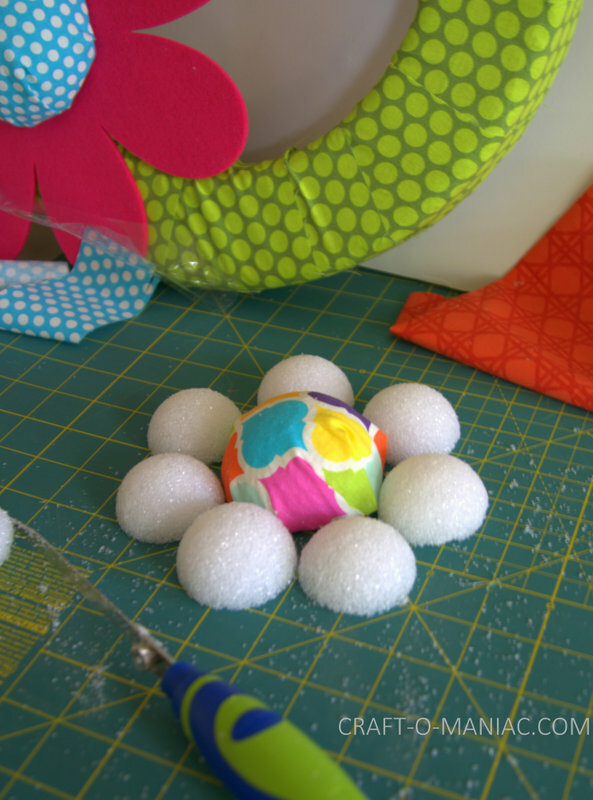 I then cut smaller Make It: Fun® Foam balls in half as well as a small to medium ball in half to make another fabirc covered flower. 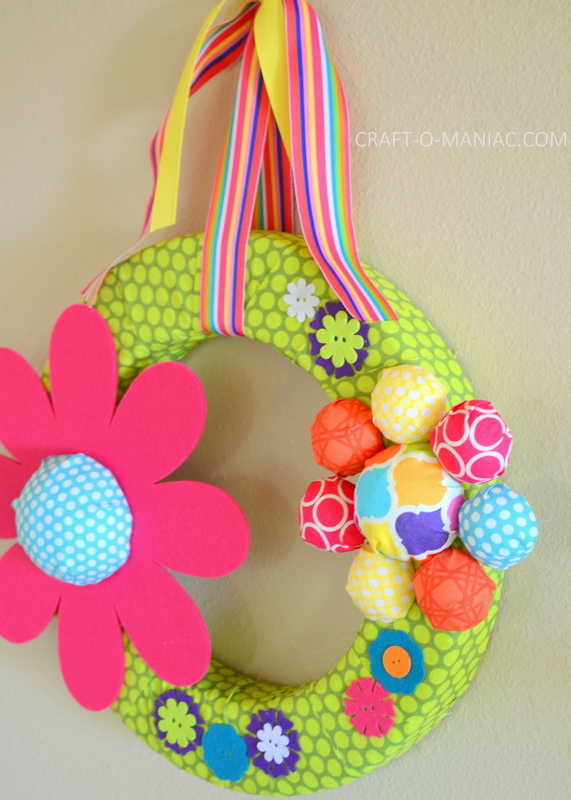 I hot glued all those pieces together and hot glued it to the wreath. Then with some mini felt flowers I had for a few years, I hot glued them down as well. Lastly I added the cute colofrul ribbon and I was done. Thanks for the visit friends. 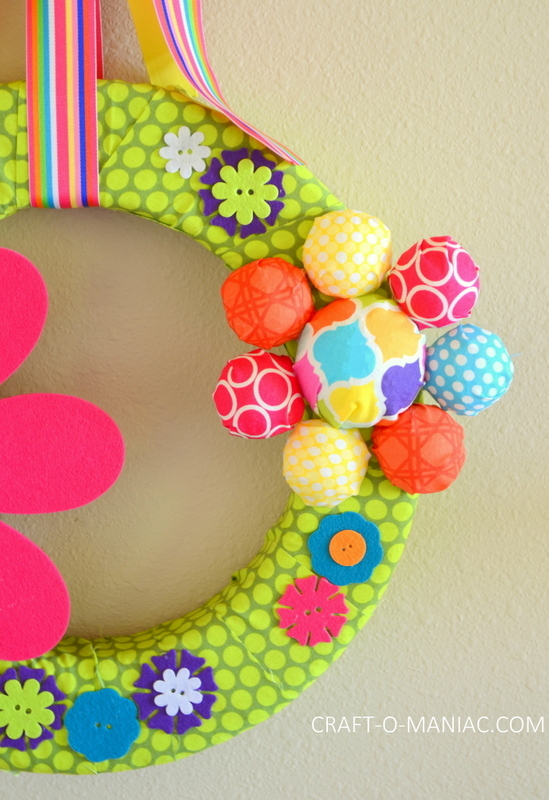 I love the bright colors in your Flower Power Wreath! 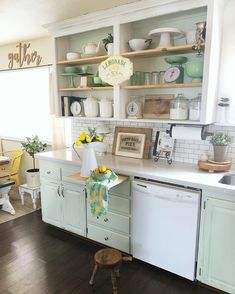 This is so pretty and creative. I hope your daughter loves it, too. Thank you!